John 8:3a The teachers of the law and the Pharisees brought in a woman caught in adultery. If you’re unfamiliar with the story, read verses 2-11 by clicking here. At the end of several of the chapters of Rick Apperson’s book Killed by the Church, Resurrected by Christ there is a section called “What I Learned on the Way to the Resurrection.” These are teachable moments gained from some rather unpleasant church experiences. To learn more about Rick and the book, visit his blog, Just a Thought. Those caught in the act of sin need to hear and see God’s grace in action. Who knows what was running through the woman’s mind? As she was dragged into the street where Jesus stood, the Pharisees began eagerly sharing the woman’s sin with Jesus and the people around Him. The woman had sinned. She had been caught in the act—the very act!—of adultery. “Moses said that, according to the law, she should be stoned,” one of the Pharisees said. Stooping down, Jesus took His finger and began writing on the ground. With that proclamation, Jesus returned to writing on the ground. I love this passage from John 8. It is one of hope and mercy, grace and truth! Note that Jesus didn’t condone her sin. He told her, in fact, to stop sinning! However, He showed her grace and mercy while also addressing those who would condemn her. The accusations laid against her weren’t wrong, but the heart motive of her accusers was. Sadly, my motivations weren’t always pure when I confronted someone about their sin. You can also see a poor demonstration of how to treat someone caught in sin when I wrote about my church’s response to the unwed mother. I think we struggle in the church with how to respond to those whose sin is glaringly obvious. We seem to forget Jesus died for them. His harshest words were for the religious people of the day. Pride and religiosity may be greater barriers to relationship with God than the things we tend to judge in our own minds. Maybe we’re afraid that by demonstrating grace and mercy we will seem weak on sin. Need that be so? Jesus spoke to the heart, not to the behavior. As demonstrated in the John 8 story, He told her to sin no more, but by His act of mercy, He also demonstrated love! There is a wonderful passage of Scripture found in Matthew 7:1–5 (NKJV). Judge not, that you be not judged. For with what judgment you judge, you will be judged; and with the measure you use, it will be measured back to you. And why do you look at the speck in your brother’s eye, but do not consider the plank in your own eye? Or how can you say to your brother, “Let me remove the speck from your eye”; and look, a plank is in your own eye? Hypocrite! First remove the plank from your own eye, and then you will see clearly to remove the speck from your brother’s eye. If we would remember that we ourselves have sinned and been forgiven much, we would find it easier to extend grace to others. So the next time you feel the need to “help” someone by pointing out their offense, swallow your spiritual pride, check your heart, and show the love of Christ! I say this recognizing that there will be times when we need to speak truth in love, showing a brother or sister their need to repent. Most often though, people know when they are sinning, and our kind words and actions can help them find their way back onto the path of righteousness. As I mentioned before, restoration and redemption should be the end goal. Our desire should be that of seeing a brother or sister restored in their relationship with the King of Kings and Lord of Lords! I thought I’d throw a little King James into today’s title. (I thought it was “shall ye do.”) That’s the way I first heard this verse, but now, as a mature adult, I still find my mind carries the baggage of expectations that like Jesus, I would raise the dead and walk on water. Or greater, right? Because the verse is about greater. So I appreciated reading what follows from Mark Batterson’s new book The Grave Robber: How Jesus Can Make Your Impossible Possible (Baker Books, Sept. 2014). Whoever believes in me will do the works I have been doing and they will do even greater things than these. Greater things? It would sound like heresy if it didn’t come from the lips of Jesus. It’s one of those verses that we tend to rationalize, so let me tell you exactly what it means. If you follow Jesus, you’ll do what He did. You’ll seek to please the heavenly Father first and foremost. You’ll care for the poor, you’ll wash feet, and you’ll offend some Pharisees along the way. You’ll also traffic in the miraculous. And it won’t just be as an eyewitness. It’ll be as a catalyst. Please believe me when I say, you are someone else’s miracle! Make no mistake about it: only God can perform miracles. So God gets all of the glory. But as you’ll see, nearly every miracle has a human element. Sometimes you need to step into the Jordan River, like the priests of Israel, before God will part the waters. And sometimes you need to wade into the Jordan seven times, like Naaman. Only God could miraculously heal Naaman’s leprosy, but he would have forfeited the miracle if he hadn’t positioned himself for it by repeated obedience. So while some miracles take only a single step of faith, others require multiple attempts! But whether it’s ankle deep or waist deep, you’ve got to wade into the Jordan River. Sometimes you’ve got to do the natural before God will do the supernatural. The playground we live on, planet Earth, was designed with natural boundaries that mark the outer limits of human possibility. The speed of light is the fence line, and the laws of nature are the fence posts. some of them are well-known, like the law of gravity or Newton’s three laws of motion. Others are more obscure, like Bell’s theorem. While those fence posts are constantly being repositioned by scientific research, they establish a borderline between what is possible and what is impossible. It’s the invisible, impassable fence between the natural and the supernatural, and no human can dig under it, climb over it, or walk around it. But God has put a gate in the fence. His name is Jesus. If you follow Jesus long enough and far enough, you’ll eventually trespass into the impossible. You’ll turn water into wine, feed five thousand with two fish, and walk on water. I’m not suggesting that you go walk off the nearest dock and see ho many steps you can take. God will probably manifest His power very differently for you than He did for the original disciples. But if you believe what Jesus said, then you’ll do what Jesus did. The miracles you experience should be even greater than the miracles Jesus performed, in terms of both quantity and quality. Isaiah 6:1 In the year that King Uzziah died, I saw the Lord, high and exalted, seated on a throne; and the train of his robe filled the temple. 2 Above him were seraphim, each with six wings: With two wings they covered their faces, with two they covered their feet, and with two they were flying. Revelation 4:1 After this I looked, and there before me was a door standing open in heaven. And the voice I had first heard speaking to me like a trumpet said, “Come up here, and I will show you what must take place after this.” 2 At once I was in the Spirit, and there before me was a throne in heaven with someone sitting on it. 3 And the one who sat there had the appearance of jasper and ruby. A rainbow that shone like an emerald encircled the throne. 4 Surrounding the throne were twenty-four other thrones, and seated on them were twenty-four elders. They were dressed in white and had crowns of gold on their heads. 5 From the throne came flashes of lightning, rumblings and peals of thunder. In front of the throne, seven lamps were blazing. These are the seven spirits of God. 6 Also in front of the throne there was what looked like a sea of glass, clear as crystal. Today we feature an excerpt from a new book, God is Near: His Promise to His People by Clark Bunch (Outskirts Press). Read a full review of the book at this link to Thinking Out Loud. The camp of Israel was often on the move. Sometimes God in the tent became God in the box. The tabernacle was finely made from all of the very best materials, but it was basically a tent. The Ark of the Covenant was expertly crafted from the finest wood and ornately covered in pure 24-karat gold, but at the end of the day it was still a box. It was a very nice box, but yes, God lived in a box. Their story is an allusion to our story. The two are very much related… God is the same yesterday today and forever. The notion that God is angry and vengeful in the Old Testament and merciful and kind in the New is misguided. God gave the Hebrews another chance time and time again. The God of the Old Testament is long-suffering when dealing with mankind. In the New Testament God’s wrath is poured out on sin, as Jesus hangs on the cross. We live today in the Age of Grace but that window of opportunity will one day close. All will stand before the judgment seat as he judges the nations. The typical hellfire and damnation sermon, all about God’s wrath, may fail to share the Gospel by leaving out grace. We are all sinners, but forgiveness is offered as a gift. On the other hand, preaching only God’s grace and mercy may also fail to share the Gospel. We must be made aware of sin and our inability to do anything about it before we can accept the gift. God’s wrath and God’s grace are both opposite sides of the same coin. 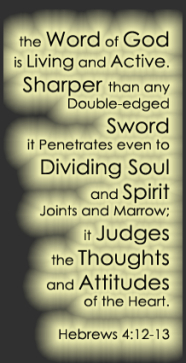 Both covenants, and therefore both testaments of the Bible, share both. Jesus reprimands the Pharisees for keeping the letter of the Law but not understanding the spirit of the Law. They tithed out of their spice rack but let the widow starve in the street. When asked about the greatest commandment, it is worth noting that Jesus quotes from Leviticus and Deuteronomy. Rather than any one of the Ten Commandments, Jesus says we must love the LORD our God with all our heart, mind, soul and strength, and also love our neighbor as one’s self. It is an eye-opener for many to realize those are Old Testament commands. The story of Jesus is simply incredibly complex. It seems a simple story and for just a little money you can purchase any one of hundreds of Bible story books which will provide the story to children. But as you dig deeper, even a children’s story you’ve heard many times over reveals layers of significance you never considered. I’m currently reading Jesus, A Theography by Leonard Sweet and Frank Viola. The use of theography is to suggest that while most stories of Jesus are simple biographies that is, they narrate “from womb to tomb,” this one is attempting to begin with “Christ before the manger,” and then move into eternity. While this isn’t meant to be a book review, I’m not sure the book lives up to its own expectations on this and other fronts. I’ve mentioned before that the ancients viewed scripture as a multi faceted jewel that revealed more and more with each slight turn; capturing and reflecting and refracting light in infinite combinations. To Sweet and Viola, the preferred image is that of a constellation with phrases from various sections combining to form images. In the case of John’s gospel, the birth narrative is paralleled to the “I am” statements which are unique to that book. Jesus was born under the light of the star of Bethlehem. The doors of the guest house were closed to Mary and Joseph, but the gate to the stable was open. Baby Jesus was sought by shepherds looking for a baby wrapped in swaddling bands (used for birth or burial) and lying in a manger. Jesus survived King Herod’s attempt to kill him. Wise men found their way to him, recognized the truth about him and defied King Herod’s evil plot. The example above, while not the strongest of the parallels introduced, is fairly typical, and the reader must decide if the this information is significant spiritually or merely reflective of the Bible’s literary value. To the believer and Christ-follower, the Bible has to be more than great literature. The book is well crafted and well researched and on average, each of the sixteen chapters has about a hundred footnotes. Still, I find a good filter is needed when reading this; each reader has to determine what they want their ‘take away’ to be from each chapter. Probably more than anything else, the book highlights the issue of reading of Christian books versus only reading the Bible. 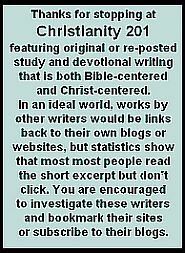 I am where I am today spiritually because of the influence that Christian writers have had on me. If anything their words have drawn me into a deeper examination of scripture. I am also a strong believer in owning Bible reference material, and I opened the pages of this book fully expecting it to fit into that category. But instead, I found myself drawn into consideration of matters I would consider secondary issues, and often found my head spinning with the overall complexity of the issues under examination. Can we know too much? In terms of Bible study is there such a thing as too much information? I believe Jesus: A Theography is on one hand a valuable addition to my library, but on the other hand, it’s important that I not stray too far from the simplicity found in those children’s Bible study books. 2 He called a little child to him, and placed the child among them. 3 And he said: “Truly I tell you, unless you change and become like little children, you will never enter the kingdom of heaven. To start today, another section from Matt Litton’s book Holy Nomad, The Rugged Road to Joy (Abingdon). Reading the Gospels, I discovered that the Holy Nomad is not the least bit interested in the laws and doctrines of religion. He is more radical than any philosophy of life. He does not associate himself with a particular political agenda, a government, a race, or even a nationality. He is not a hip cultural trend, and based on his violent reaction to people setting up storefronts in the temple, not cool with being presented as a business venture to be marketed and sold. From the way he interacts with the sick and sinful it’s clear that the Holy Nomad is kind and compassionate, but, also obvious from his harsh words with the religious leaders… The Nomad is not safe. The Gospel of John says that he was present at the dawn of time but broke into human history, climbed into human skin and walked around in it so that we could see and understand the true nature of God, his father. In this Nomad we find the universe’s source of compassion, the essence of love, the loyal friend, the divine comforter. In him we meet the intolerance of inequality, and the very power of freedom. He is the Resurrection, the foundation of life and the leader of the most important invasion in the history of the universe – the invasion of light. Witnessing the Nomad on the path of the Gospels, I am left believing he must be the source, the antidote for Spiritual Stockholm Syndrome, the one to bring us out of darkness. He said, “Certainly, but first excuse me for a couple of days, please. I have to make arrangements for my father’s funeral.” Jesus refused. “When once the call of God comes, ” wrote Oswald Chambers, “begin to go and never stop going.” These words often remind me of my friend Craig. They remind me of Jesus breathing on his followers as he sent them to their work. I wonder how close the Nomad was in those moments and if we could see it – how he breathed on my friend to empower that first step from the cell of addiction. Perhaps with each decision, every new step, we should take a fuller breath of God’s spirit – the sacred wind that powers our journeys. For another excerpt from Matt’s book, click here. John 8 : 2 (NLT) …but early the next morning he was back again at the Temple. A crowd soon gathered, and he sat down and taught them. 3 As he was speaking, the teachers of religious law and the Pharisees brought a woman who had been caught in the act of adultery. They put her in front of the crowd. Today’s reading is from the new book by Max Lucado, Grace: More Than We Deserve, Greater Than We Imagine (Thomas Nelson). I love the way he is able to paint a descriptive picture of this familiar text, and offer a fresh take on Jesus writing in the dirt. Jesus “stooped down and wrote in the dust” (v.6 NLT). We would expect him to stand up, step forward, or even ascend a stair and speak. But instead he leaned over. He descended lower than anyone else – beneath the priests, the people, even beneath the woman. The accusers looked down on her. To see Jesus, they had to look down even farther. He’s prone to stoop. He stooped to wash feet, to embrace children. Stooped to pull Peter out of the sea, to pray in the Garden. He stooped before the Roman whipping post. Stooped to carry the cross. Grace is a God who stoops. Here he stooped to write in the dust. Remember the first occasion his fingers touched dirt? He scooped soil and formed Adam. As he touched the sun-baked soil beside the woman, Jesus may have been reliving the creation moment, reminding himself from whence we came. Earthly humans are prone to do earthly things. Maybe Jesus wrote in the soil for his own benefit. Or for hers? To divert gaping eyes from the scantily clad, just caught woman who stood in the center of the circle? The posse grew impatient with the silent, stooping Jesus. “They kept demanding an answer, so he stood up” (v. 7 NLT). He lifted himself erect until his shoulders were straight and his head was high. He stood, not to preach, for his words would be few. Not for long, for he would soon stoop again. Not to instruct his followers; he didn’t address them. He stood on behalf of the woman. He placed himself between her and the lynch mob and said, “‘All right, stone her. But let those who have never sinned throw the first stones!’ Then he stooped down again and wrote in the dust” (vv.7-8 NLT). Jesus wasn’t finished. He stood one final time and asked the woman, “Where are your accusers?” (v. 10 NLT). My, my, my. What a question – not just for her but for us. I’m currently reading one of a number of “never before published” books based on the writing of A. W. Tozer. This one is titled The Dangers of a Shallow Faith: Awakening from Spiritual Lethargy, released this year by Regal (Gospel Light). In Chapter 3, he speaks about having a wrong concept about God himself. If you do not have a right concept of God, of yourself and of sin, you will have a twisted and imperfect concept of Christ. It is my honest and charitable conviction that the Christ of the average religionist today is not the Christ of the Bible. It is a distorted image — a manufactured, painted on canvas, drawn from cheap theology Christ of the liberal, and the soft and timid person. This Christ has nothing of the iron and fury and anger, as well as the love and grace and mercy that He had, who walked in Galilee. If I have a low concept of God, I will have a low concept of myself, and if I have a low conception of myself, I will have a dangerous concept of sin. If I have a dangerous concept of sin, I will have a degraded concept of Christ. Here is the way it works: God is reduced; man is degraded; sin is underestimated; and Christ is disparaged. Does this mean we must be tolerant? Actually, men are tolerant only with the important things. What would happen to a tolerant scientist or a tolerant navigator? The liberal religionist simply admits he does not consider spiritual things as vital. (NLT) Jude 1:17 But you, my dear friends, must remember what the apostles of our Lord Jesus Christ said. 18 They told you that in the last times there would be scoffers whose purpose in life is to satisfy their ungodly desires. 19 These people are the ones who are creating divisions among you. They follow their natural instincts because they do not have God’s Spirit in them. Build up — “building up yourselves on your most holy faith…” (v. 20) Do you have a Bible, and do you study it? Have you read a book of the Bible through recently? Have you done any memorization of Scripture? Have you sought to know God or are you looking to the secular media for your religion? Build up yourselves on your most holy faith. Pray — “praying in the Holy Ghost” (v. 20) I do not hesitate to say that most praying is not in the Holy Spirit. 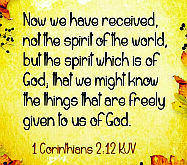 The reason is that we do not have the Holy Spirit in us. No man can pray in the Spirit except his heart is a habitation for the Spirit. It is only as the Holy Spirit has unlimited sway within you that you are able to pray in the Spirit. Five minutes of prayer in the Holy Spirit will be worth more than one year of hit-and-miss praying if it is not in the Holy Spirit. Love — “keep yourselves in the love of God…” (v. 21) Be true to the faith, but be charitable to those who are in error. Never feel contempt for anybody. No Christian has any right to feel contempt, for it is an emotion that can only come out of pride. 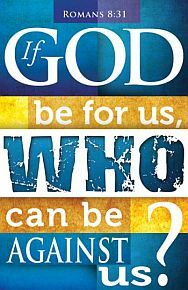 Let us never allow contempt to rule us; let us be charitable and loving toward all while we keep ourselves in the love of God. Look — “looking for the mercy of our Lord Jesus Christ unto eternal life” (v. 21) Let us look for Jesus Christ’s coming — for the mercy of the Lord Jesus Christ at His coming. Isn’t it wonderful that His mercy will show forth at His coming? His mercy will show itself then, as it did on the cross; as it does in receiving sinners; as it does in patiently looking after us. And it will show itself at the coming of Jesus Christ unto eternal life. From Empty Promises: The Truth About You, Your Desires and the Lies You’re Believing by Pete Wilson (Thomas Nelson). What? Hate your mother and father? Hate your wife? Your children? What was Jesus talking about? First, you need to know that Jesus was using hyperbole. He was using exaggeration to make or reinforce a point — something we do all the time. The other day my son wanted to go to a basketball game, and I told him we couldn’t go, he said, “But Dad, everybody is going to be there.” Did he literally mean the world’s population of 6.9 billion people would be at that game? No he was exaggerating to make his point and I understood exactly what he meant. And isn’t that what often happens with religion? We take traditions and preferences, which are good and lovely things, and we make them ultimate things. We give them idol status. After an extended amount of time reflecting on this passage, I once wrote this in my journal: “Pete, your greatest temptation in life will be to chase after not what is ridiculously evil, but what is deceptively good. While I may not know you personally, I believe this is probably your greatest temptation as well. You see, Jesus never said you can’t have religious preferences. There’s nothing wrong with preferring traditional music over contemporary music (or vice versa). There’s nothing wrong with wanting to go to church in a gym or even under a bridge instead of in a building with a steeple. There’s nothing wrong with wanting to take Communion weekly instead of quarterly. There’s nothing wrong with having a heart for social justice, Scripture memory, or being part of a comunity group. Jesus just said, don’t allow those preferences and traditions to become rules that you force other people to obey if they want to follow him. Don’t take good tings and make them ultimate things. Another way to say this is: Be careful not to worship a good thing as a god thing, for that is an idolatry thing that will become a destructive thing. rather than on the cross. Pete Wilson is the author of Plan B (Thomas Nelson) and pastor of Cross Point Church in Nashville, TN. He blogs regularly at Without Wax and is on my top five list of people I’d like to be seated next to on an airplane. Today marks the beginning of Year Three here at Christianity 201. As I’ve stated before, I began writing this for purely selfish reasons: To keep my personal devotional life grounded and accountable, and to keep from being distracted by the issues, controversies and news stories that characterize tens of thousands of other Christian blogs, including Thinking Out Loud. I am learning so much in the process of doing this, and I thank all of you who read regularly for your support and comments, and especially those of you whose writing has been “borrowed” to be part of the collection here. I’ve just started reading Spirit Rising: Tapping Into the Power of the Holy Spirit by Jim Cymbala (Zondervan). His first book, Fresh Wind, Fresh Fire was a unique reading experience simply because the story of what God did and continues to do at the Brooklyn Tabernacle is a very unique story. It’s a church that was birthed into existence through prayer. I’m only a chapter in, but I hope I can whet your appetite for Jim’s writing through this and a couple of other excerpts I’m sure will run here. …We all see problems in the church. We don’t need another book to point those out. We need the faith to believe that the solution is really quite simple: The Holy Spirit. …If you want power, confidence, joy, peace, and more love in your life, ask the Spirit to come in and do something new in you… I promise you that when he does, your spiritual life will cease to be dry and mechanical. Instead, it will be filled with awe at the power of the Spirit and the wonder of God’s goodness. One of the blessings of living in Christian community is the variety of people that you get to meet; the unique individuals who form the body of Christ. A year ago here we introduced the ministry of Ann Voskamp, and included a short book trailer, but I thought you might appreciate hearing more of Ann’s story. She is the author of the bestselling Zondervan book One Thousand Gifts. This is a section from Mark Batterson’s new book The Circle Maker: Praying Circles Around Your Biggest Dreams and Greatest Fears, releasing this week in hardcover from Zondervan. Mark serves as the lead pastor of National Community Church, one church with seven locations in Washington, DC. Physical posture is an important part of prayer. It’s like a prayer within a prayer. Posture is to prayer as tone is to communication. If words are what you say, then posture is how you say it. There is a reason that Scripture prescribes a wide variety of postures such as kneeling, falling prostrate on one’s face, the laying on of hands and anointing someone’s head with oil. Physical postures help posture our hearts and minds. When I extend out my hands in worship, it symbolizes my surrender to God. Sometimes I’ll raise a clenched fist to celebrate what Christ has accomplished for me on the cross and declare the victory He has won. We do it after a great play, so why not during a great song? During the most recent Lenten season, Parker and I got up a half hour earlier than normal to allow a little extra time to read Scripture. We also decided we would get on our knees when we prayed. The physical posture of kneeling, coupled with a humble heart, is the most powerful position on earth. I’m not sure that the kneeling position betters my batting average in prayer, but it gets me in the right stance. All I know is this: humility honors God and God honors humility. Why not kneel? It certainly can’t hurt. One of my favourite prayer postures I learned from the Quakers. I lead our congregation in this prayer frequently. We begin with hands facing down, symbolizing the things we need to let go of. it involves a precess of confessing our sings, rebuking our fears, and relinquishing control. Then we turn our hands over so they are facing up in a posture of receptivity. We actively receive what God wants to give – joy unspeakable, peace that transcends understanding, and unmerited grace. We received the fruit and gifts of His Spirit with open hands and open hearts. There is nothing magical about the laying on of hands or bowing the knee or anointing the head with oil, but there is something biblical about it. There is also something mystical about it. When we practice these prescribed postures, we are doing what has been done for thousands of years, and part of thinking long is appreciating the timeless traditions that connect us to our spiritual ancestors. The church I pastor is absolutely orthodox in belief but somewhat unorthodox in practice. Meeting in movie theaters makes it difficult to have a lot of High Church traditions. The movie screens are our postmodern stained glass; the smell of popcorn is our incense. But just because we don’t practice a lot of extrabiblical religious rituals doesn’t mean we devalue biblical tradition. Just because we believe the church should be the most creative place on the planet doesn’t mean we devalue tradition. We aren’t religious about religion, the human constructs created over the generations to surround our faith with rituals. We do, however, hold religiously to the timeless traditions of Scripture.